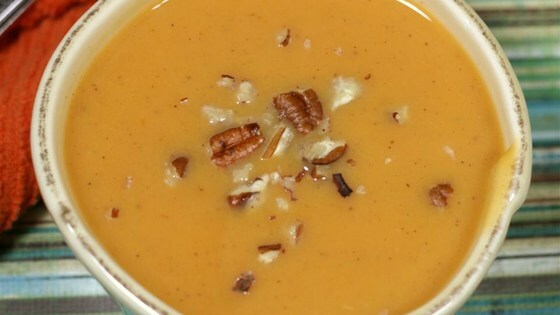 Sweet potatoes are cooked in chicken broth, pureed, and then seasoned with with nutmeg, ginger, cinnamon and cayenne, and made even creamier by adding half-and-half. Put sweet potatoes into a large pot. Pour chicken broth over the sweet potatoes; bring to a boil, stir orange juice concentrate into the boiling broth, and cook until the potatoes are tender, about 25 minutes.